***Beautiful gated community*** Designed for those who want to enjoy a carefree home with high-end comfort. You will find quality construction throughout, which includes Gourmet kitchen with Granite counters, Stainless Steel appliances and Viking Range. 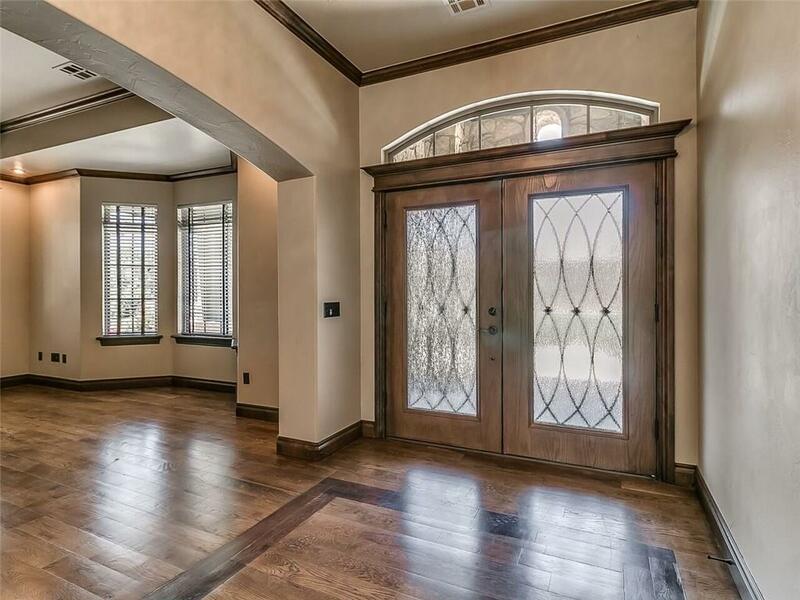 Exquisite cabinetry and fixtures throughout. Real wood floors throughout foyer, kitchen, dining, living and breakfast room. Open living area with stunning built in book case. Master bedroom offers 2 walk-in-closets plus full bath, dual sinks, separate shower with jetted tub. Half bath doubles as Storm Shelter and Safe Room. Garage with epoxy floor, storage area and utility sink. Additional amenities include: security and sprinkler system. Conveniently located near Tinker AFB, parks, golf courses,restaurants and medical facilities. HOA maintains lawn, gated entry and all common areas.